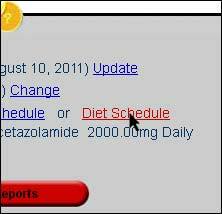 - Select the "Enable Diet tool." option in the settings list. 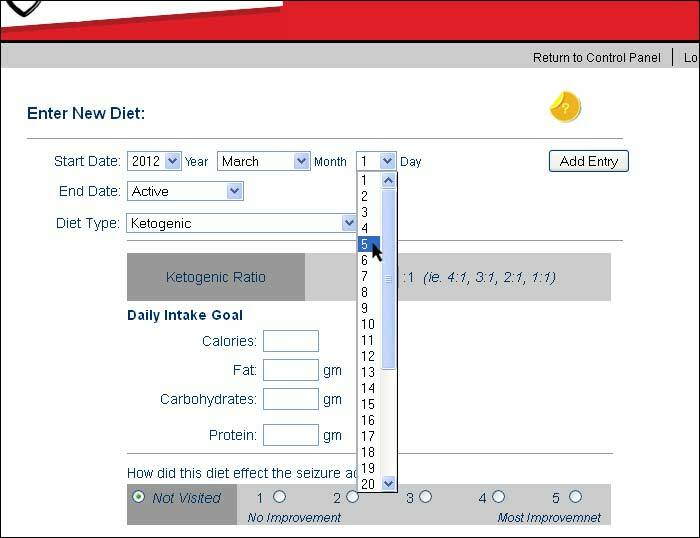 You can select "Monitor Glucose Levels" or Monitor Ketone Levels" independently from the diet history activation. 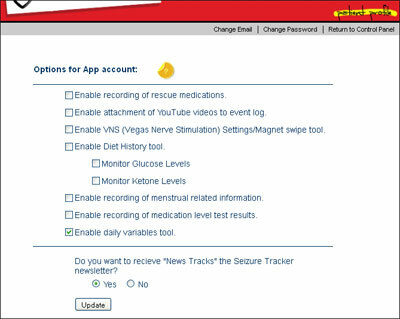 -If the tool is currently active, you will see the "Diet History" in the lower left corner of your control panel. - Side Effects - Including: Decrease in Appetite, Kidney Stones, Poor Weight Gain, Abnormal Glucose Levels, Constipation, Reduction in Bone Density, Pancreas Inflammation,	High Lipid Levels, Immune Function Impact, Liver Function Impact, Lack of Energy, Nausea/Vomiting, Metabolic Acidosis, Low Vitamin D, Other. *When entering the start and end dates of your diet history be careful not to overlap start and end dates. This will cause the graphs to represent the history with only one setting. 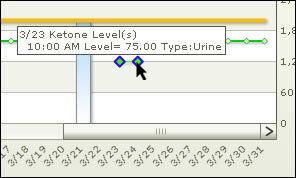 The Seizure Tracker Ketone level tool allows users to record ketone levels through the daily event page. 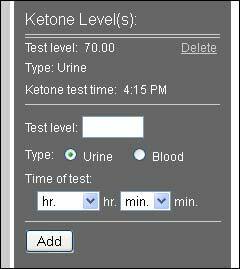 Ketone entry options on the event logging page include: Ketone level, Type of test (blood or Urine) and time of test. 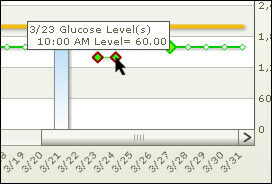 The Seizure Tracker glucose level tool allows users to record glucose levels through the daily event page. 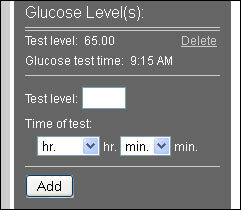 Glucose entry options on the event logging page include: glucose level and time of test. Visit the Charlie Foundation website for more information on Diet therapy.